Drone Academy Asia crossed another milestone during the launching of The Drone Technical Centre yesterday at Chemsain Auditorium, Kuching. 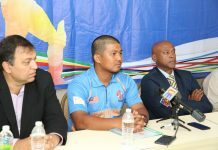 The launching was officialized by the Assistant Minister of Transportation, Datuk Jerip Susil who represented the Chief Minister of Sarawak, Founder of Chemsain Konsultant Sdn Bhd, Chan Woon Peng and Chief Executive Officer of Drone Academy Asia, Dylan Lim. 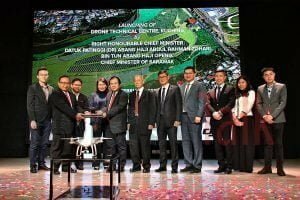 In line with the progression of rural transformation and socio-economic riding on the Digital Economy platform, Chemsain Konsultant Sdn Bhd established partnership with Drone Academy Asia and DJI to set up a Drone Technical Centre in Kuching to capitalize on this advancement of drone technology. This initiative is carried out in line with Sarawak Digital Economy Strategy to accelerate Sarawak’s economic growth, reduce socio-economic divide as well as to increase the employment of youth. Chief Minister, Abang Johari earlier announced his intentions of spearheading a digital economy initiative that aims to revolutionise Sarawak’s economy and industries, and spur socioeconomic growth and advancement. Drone Academy Asia is one of South East Asia’s best Drone Training Academy. With professional training facilities, and an experienced team of drone pilot instructors, they offer leading large enterprises, government organizations and educational institutes the highest-quality Unmanned Aircraft System (UAS) Training Courses.